Each of our guides has extensive experience in the tourism industry. All of them know the North and understand both Northern and Asian culture. This understanding will make sure you get the maximum amount of learning and enjoyment out of your trip to the wild Canadian North. 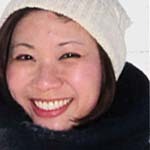 In 2010, Angela co-launched a business offering tours of Yellowknife and the North to Chinese visitors. Already, the business has grown significantly and she has had many satisfied customers. 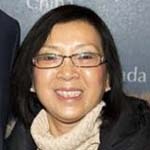 Having served as a tour director in Hong Kong and Vancouver for over 40 years, Angela has vast experience in providing tours to Chinese and North American consumers. While in Hong Kong, she won the Best Tour Coordinator Award. While in Hong Kong, she helped numerous North Americans tour Asia. After she immigrated to Canada in 1997, she directed tours for Chinese from Canada, Taiwan, Hong Kong and Mainland China. In 2002, Angela moved to Yellowknife, Northwest Territories with her family. She has truly enjoyed the North’s unique culture and friendly people. While in Hong Kong, Chun Kwok spent many years as a freelance tour director for North Americans travelling throughout Asia. He also served as the Camp Director for the Recreation Camp in Hong Kong. 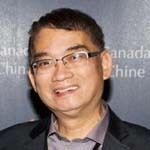 Since immigrating to Canada in 1997, he has been a tour director for Chinese from Canada, Taiwan, Hong Kong and Mainland China. In 2002, he moved to Yellowknife with his family. Recognizing the business opportunities in Yellowknife, he started a gift shop in the Diamond Capital. Along with his family, in 2010 he launched a Yellowknife tourism business to bring Chinese visitors to the North. Verda is the owner of Yellowknife Tours. She is a tour planner and receptive agent for the tourism products in NWT. She moved to Yellowknife in '08 to join her family. In 2006, Verda graduated from University of Alberta with a degree in Sociology. She has also worked in public relations co-ordinating events for corporations in Hong Kong and Canada. She enjoys and appreciates the friendliness of the people of the North and also works in customer service for an aviation company in Yellowknife. As a consummate professional, Verda is always cheerful and has developed a reputation for being caring and knowledgeable. To keep in touch with her Chinese roots, Verda served as the Executive Organizer of the China Earthquake Fundraising Group in Yellowknife. In this position she contacted local businesses for sponsorship and arranged for all local media to broadcast the China Earthquake relief effort. She has also been involved in other humanitarian efforts including a water project in 2010. She chaperoned 14 youth to Tanzania in East Africa, where they constructed a windmill, providing clean water to a local village. In 2012 ~ 2014, Verda was nominated by the NWT tourism to go along with the Premier to Asia for the China Trade Mission. Her dream is to share the spectacular natural Aurora Borealis and the unique wilderness experience to the people around the world.